The St. Helen’s ground in Swansea provided the inspiration for the formation of the Balconiers, and is still their spiritual home. It is also their very real home each season for the duration of the annual Swansea and West Wales Cricket Festival when cricket lovers enjoy the delights of two first-class matches (one 4-day Championship match and one 1-day limited overs match) at this historic venue. Balconiers and other spectators enjoy watching cricket from all parts of this picturesque ground. A seat in front of the pavilion, perhaps, looking out high over the ground and the sweep of Swansea Bay; or from the terracing in front of the Rugby and Cricket Club – or one of its bars or hospitality boxes; or from the shade of the rugby stand (a reminder of the ground’s winter use); or from a chair on the grass – on the hallowed St. Helen’s turf itself! 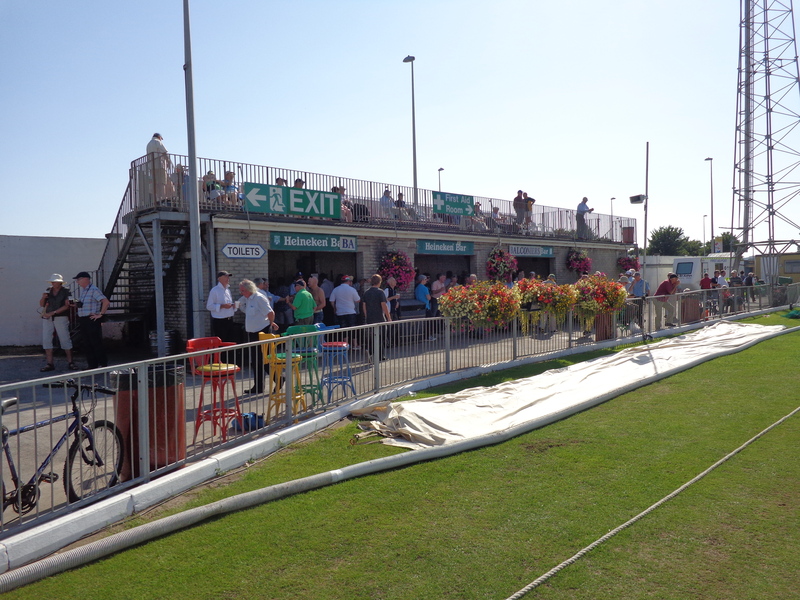 For some Balconiers, the only place from which to watch is the ‘new’ balcony at the Mumbles Road side of the ground, looking across at the ‘old’ balcony which gave the Association its name. Others will congregate under the balcony, watching with a cup of tea or glass of something stronger from in front of Fred’s Bar – home to what have been described as probably the best Welsh cakes in the world! 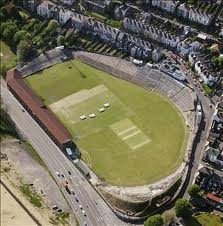 The history of St. Helen’s cricket ground is a rich one.